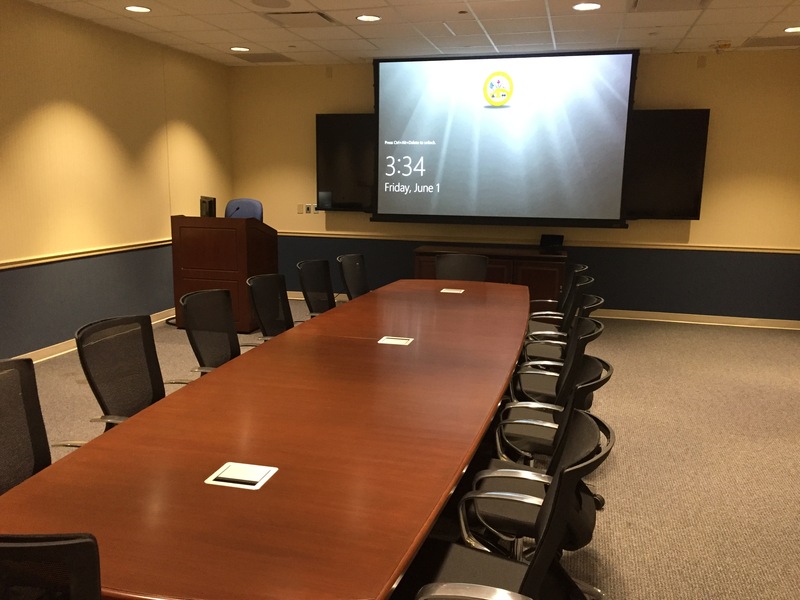 Columbia, SC - After a recently completed project in an executive meeting space at a military base, display technologies were showcased side-by-side with surprising results. 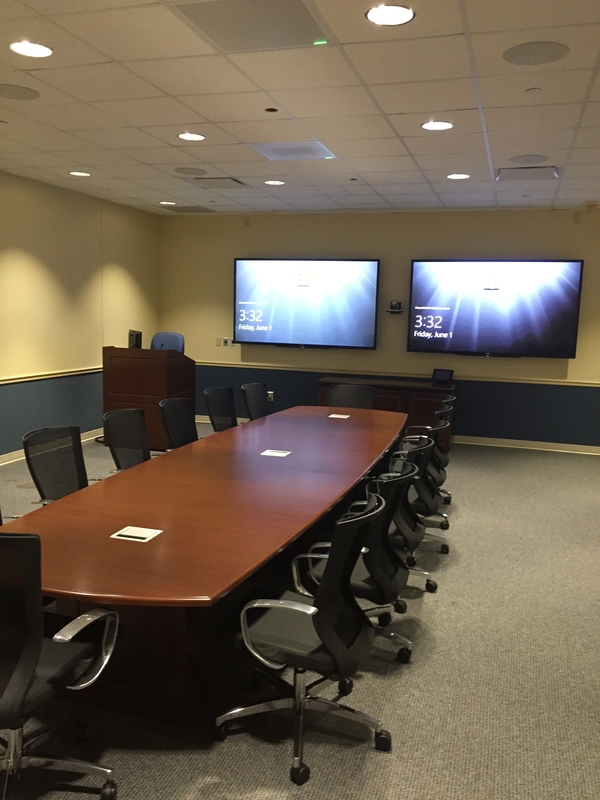 The underlying objective when designing spaces with display technology (Flat Panel Displays, LED Walls, LCD Video Wall, and Projection/Screen Technology) is to ensure the image size is large enough for all participants to view content at a legible size. As image sizes increase, often, so does the cost. 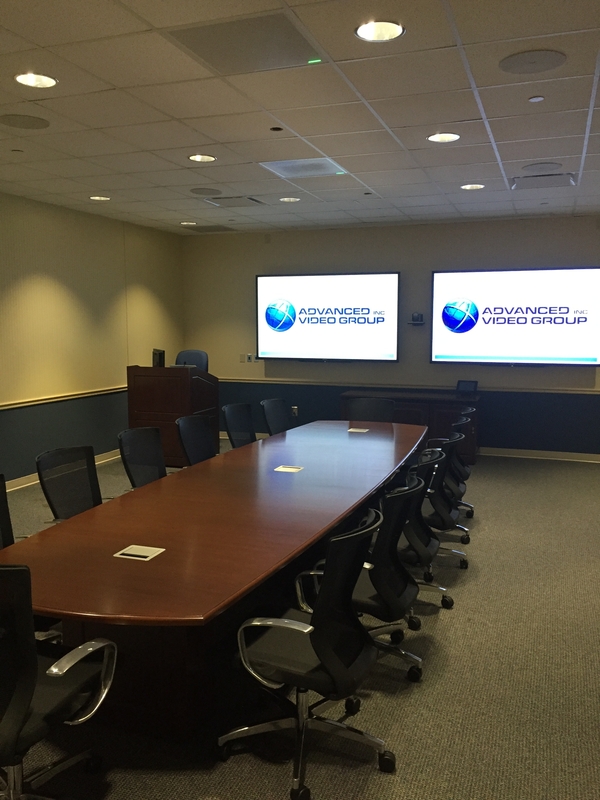 In the demanding enviornments where large format displays are required, projector and screen technology has made monumental leaps in both quality, technology, and price. The Projector has made strides in lamp technology and resolution. Almost becoming commonplace is the Laser projector with 20,000 hour life expectancies that are rated for 24/7 enviornments. Laser keeps maintenance minimal and offers energy conusmption reductions. Laser is now available in brightnesses that exceed 15,000 lumens making it viable in almost any application. Resolutions of 1080p/WUXGA seem to be the norm with many manufacturers offering 4K laser projectors. HDBaseT native inputs allow for extenders to connect natively to the projector to send video, audio, and control over a single Category 6/7 cabling keeping cost for additional hardware down and reducing failure points. 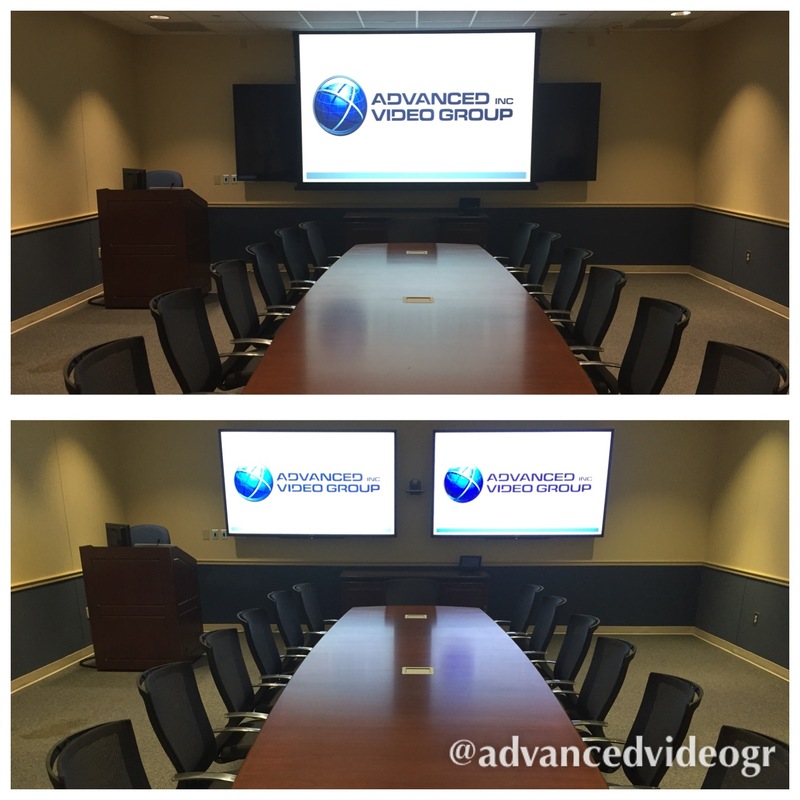 The biggest and most notable image quality changes are a result of the almost always overlooked piece of technology - the projection screen. The rise of ambient light rejecting (ALR) has changed the projector world, and for the better. The simplest definition of the technology is the driving feature that prevents ambient ilght from washing out a projected image. They are designed to reject or redirect unwanted (ambient) light away from the viewer's field of view and emphasize the on-axis light from the projector. 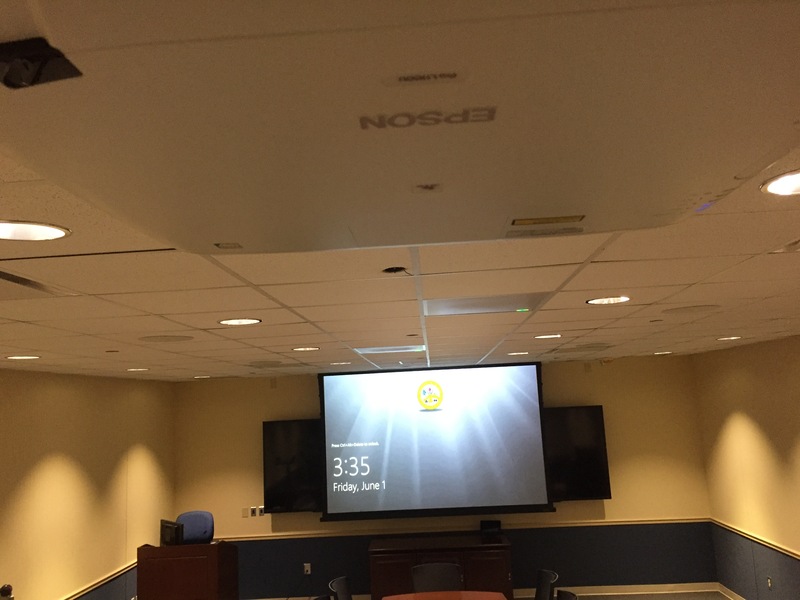 In the particular case study shown in the images, a 120" diagonal, motorized, ALR screen is retracted from the ceiling when in use in front of (2) 90" LED flat panels. The difference in image quality is almost unnoticeable and at a considerable reduction in cost. The projector is mounted approximately 28ft away from the screen and is a 6,000 Lumen, 1920x1200 resolution, Epson, laser projector. We did want to make note that no filters, 3rd party lighting, or effects are being used in these photos- they are native out of the camera in our attempt to capture the true viewing experience. If these don't make you a believer, visit our office for your own evaluation, we're that confident. 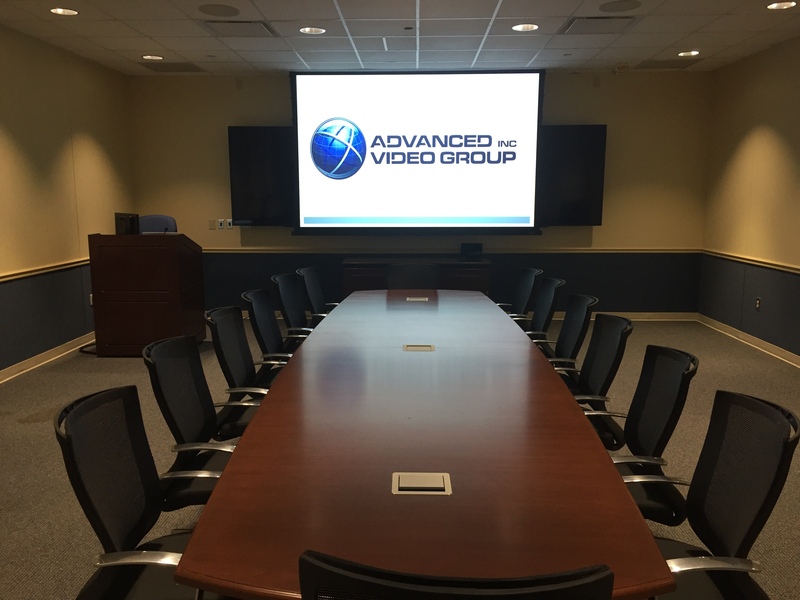 All of the leading screen manufacturers are offering this technology with varying options such as fixed frame, motorized fabric, low profile bezels/edges, and even LED backlighting. Reach out to our sales and design team to learn more about the best display technologies in your enviornment.